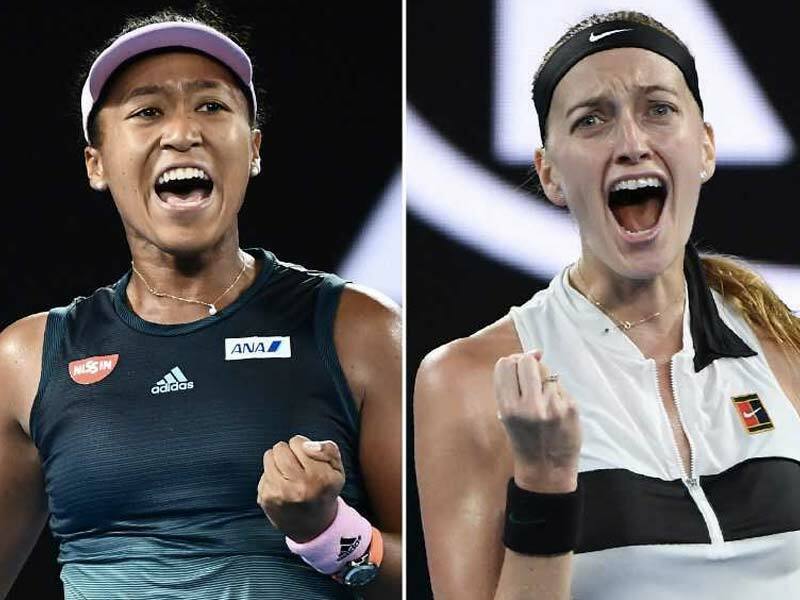 Australia Open 2019 Women's Final, Highlights: Naomi Osaka defeated Czech Republic's Petra Kvitova 7-6 (2), 5-7, 6-4. Japan's Naomi Osaka defeated Czech Republic's Petra Kvitova 7-6 (2), 5-7, 6-4 in the women's final to clinch her maiden Australian Open title. In a nail-biting final, that witnessed Naomi Osaka winning the first set 7-6 (2), it was Petra Kvitova who staged a hard-fought comeback in the second set winning it 7-5; taking the women's final into a decider set. At one point, it seemed Osaka will win the final in straight sets when she was leading the second set 5-3. Despite Kvitova's efforts in the final set, Osaka had the last laugh as she won the set 6-4 and win her second Grand Slam title. She also won the 2018 US Open title where she defeated Serena Williams. 16:45 IST: This is Osaka's first Australian Open title. Prior to this she also won the 2018 US Open; thereby winning back-to-back Grand Slam titles. 16:43 IST: And she wins. Japan's Naomi Osaka defeats Czech Republic's Petra Kvitova 7-6 (2), 5-7, 6-4. 16:43 IST: Championship point for Naomi Osaka. 16:39 IST: The see-saw battle between the Czech and the Japanese continues as Kvitova wins another game. Osaka now leads 5-4. 16:36 IST: Kvitova narrowly misses a point and Osaka will take it. She now leads 5-3. One game away from winning the Championship. 16:33 IST: Kvitova makes it 3-4. 16:31 IST: It's a deuce. And Kvitova takes the advantage pretty quickly. 16:30 IST: Third break point by Kvitova. 16:28 IST: Osaka marches on as she leads the set 4-2. 16:20 IST: A classic ace by Kvitova to fight back. Osaka leads 3-2. 16:15 IST: Osaka wins another game. It's 3-1 in favour of the Japanese. 16:11 IST: The intense battle continues as it's advantage Osaka. The Japanese now leads 2-1. 16:09 IST: Osaka wins the second game. It's 1-1 now in the decider. 16:06 IST: Kvitova wins the first game in the deciding set. 16:00 IST: Kvitova wins the second set 7-5. It's a riveting contest between the Czech and the Japanese as we head towards a decider. 15:59 IST: Kvitova now leads 6-5 in the second set. At one point in time, she was down 3-5 in the set and comes back strongly. 15:58 IST: And it's a deuce! 15:57 IST: Break point for Osaka. 15:54 IST: Naomi Osaka seems to lose patience. 15:54 IST: Excellent fightback by Petra Kvitova and the set is 5-5 now. 15:50 IST: Kvitova wins as she fights back again. Osaka leads 5-4. 15:49 IST: Kvitova fights back and it's deuce. 15:47 IST: Osaka marches on. Leads 40-0. It's Championship point for the Japanese. 15:46 IST: It's 5-3 as Naomi Osaka one game away from clinching the Women's Singles title. 15:42 IST: Petra Kvitova holds on as she wins the game. Osaka leads 4-3 in the second set. 15:39 IST: Down two games, Kvitova fights back as she puts up stiff resistance. 15:37 IST: The Japanese Osaka dominates leading 4-2 in the second set. 15:34 IST: Osaka comes from behind to take a 3-2 lead in the second set. 15:32 IST: Osaka fights back and the second set is 2-2 now. 15:30 IST: The third game is drifting towards Osaka as she leads 40-30. 15:27 IST: Naomi Osaka takes the game. But Petra Kvitova still leads the set 2-1. 15:27 IST: Second break point for Osaka. 15:25 IST: An unforced error by Kvitova as the game goes to 4th deuce. 15:24 IST: And Kvitova takes the advantage back. 15:23 IST: And it's advantage Osaka. 15:22 IST: Kvitova is on the verge of taking a 3-0 lead in the second set. 15:19 IST: Kvitova wins the second game. Takes a 2-0 lead. 15:17 IST: It's a deuce. But Osaka takes the advantage quickly. 15:15 IST: The second game begins. It's 15-15 to Kvitova and Osaka. 15:12 IST: The second set begins. Kvitova wins the first game. Takes 1-0 lead. 15:06 IST: Naomi Osaka clinches first set, wins tie-break 7-2. 15:01 IST: It's 6-6 and the set enters a tie-breaker! 14: 56 IST: Petra Kvitova saves one set point with a down-the-line forehand winner. It's 40-40. 14: 55 IST: It's 6-5 to Naomi Osaka! 14: 53 IST: After an almost tiresome rally, its 40-30 to Naomi Osaka! 14: 50 IST: It's 5-5 in the opening set! 14: 43 IST: It's now 5-4 to Naomi Osaka in the opening set! 14: 40 IST: It's 4-3 to Naomi Osaka after saving three break points! 14: 37 IST: Petra Kvitova saves a break point. It's 3-3 in the first set. 14: 33 IST: Naomi Osaka holds her serve, leads 3-2 in the first set! 14: 25 IST: It's 2-2 in the first set! 14: 20 IST: The third game gets underway, and Osaka goes up 2-1 in the first set. 14: 18 IST: Naomi Osaka goes one up in the first set! Osaka 1-0 Kvitova. 14: 16 IST: It's 30-30 in the first game of the first set! 14: 13 IST: This is the first meeting between the two players. And Naomi Osaka serves first. 14:06 IST: Petra Kvitova and Naomi Osaka make their way out for the summit showdown. Get ready for the clash! 14:00 IST: The contest is about to begin, with Naomi Osaka eyeing her second Grand Slam title, and Petra Kvitova her third. Kvitova has previously won the 2011 and 2014 Wimbledon. 13:58 IST: Hello and welcome to the live coverage of the women's singles final between Naomi Osaka and Petra Kvitova. But to make her comeback complete, the eighth seed needs to overcome US Open champion Osaka, one of the few players who can match Kvitova's powerful serve and blazing groundstrokes. Kvitova said she must start strongly against the 21-year-old, whose meek off-court demeanour belies a ferocious competitive instinct. "Naomi is on fire. 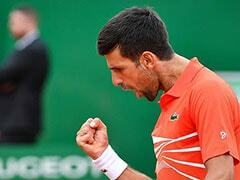 She's in very good form," Kvitova said. "She's an aggressive player, which I am, as well. "So I think it will be about who's going to take the first point and push the other a little bit." Osaka has battled through three-setters three times on her way to the final and said advancing at Grand Slam level was sometimes more about the ability to outlast an opponent than outthink them. "I'm playing the best players in the world, and I've been playing three sets most of the time," she said. "It's more like a battle of wills at this point." The pair have never met and Osaka said she would have to adjust her game against the lanky left-hander. Kvitova's coach Jiri Vanek said both finalists played in a similar manner. "(Osaka) goes for winners, Petra goes for winners. You don't have time to come up with great tactics" he said. "Both of them play so fast, I think it's going to be about who has the bigger heart." 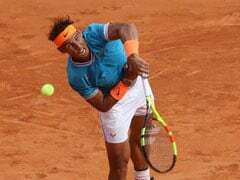 The final of this year's season-opening Grand Slam will also determine the world number one ranking after Romania's Simona Halep was bundled out in the fourth round. Neither Osaka nor Kvitova has held the top spot before. Osaka is currently sitting on a career-high ranking of four, while Kvitova even in her pomp only reached number two in 2011, the year she claimed her maiden major at Wimbledon. The Czech, whose previous best at Melbourne Park was a final four appearance in 2012, said claiming the top spot would be "a very nice bonus" but she was only thinking about lifting the trophy. Osaka was more enthusiastic about the prospect of becoming world number one but also said the title was her priority. "Of course that's a very big deal for me," she said. "It's one of the biggest goals that I had when I heard it was possible after playing the quarters. "But my main goal is winning this tournament. The ranking comes after that. I tend to do better if I focus on one goal." Winning back-to-back Grand Slams would be a huge statement for Osaka, showing her success at Flushing Meadows was not a one-off. She would be the first player other than American 23-time major winner Serena Williams to claim back-to-back majors since Kim Clijsters took the 2010 US Open and 2011 Australian Open. 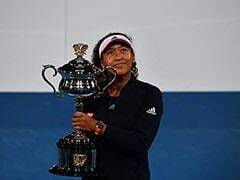 Osaka would also become the youngest to achieve the feat since Martina Hingis won the 1998 Australian Open after claiming the US Open in 1997.